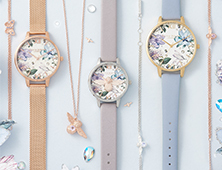 Personalise your Olivia Burton piece with our bespoke personalisation service. Engrave a name, initials or a special date to make your piece truly unique. 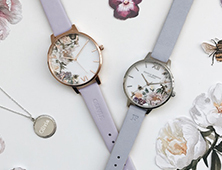 Personalising your watch comes in all caps in our signature Olivia Burton font and at a standard size. Only letters and numbers can be embossed. By adding personalisation, your watch is non-refundable and cannot be returned. 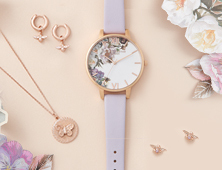 This timepiece has got simple, elegant style covered. 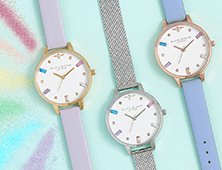 The 30mm-wide midi style features a clean white dial, tapping into a modern, pared-back aesthetic. 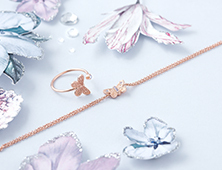 Its rounded case and markers work the ‘It' metal of the moment via a rose gold finish. 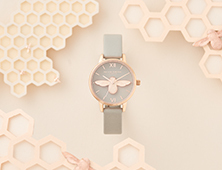 A soft grey leather strap brings neutral elegance to the design. 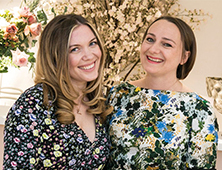 We think it strikes the perfect balance between modern and classic.